Most people spend a lot of time devising theperfect domain name for their website – which, in all sense, is the right thingto do. But when it comes to choosing a web host, they often do that in a hurry.And eventually, mess up their own game even before they’ve started it. Surely you do not want to be that person. There are a hundred different aspects to choosing the right web host for your website. And there are a hundred more for avoiding the wrong one. And as a responsible and smart business owner, you must be well-versed with at least the most important of these deciding factors. If you are someone who would never dream of upsetting clients and customers with a ‘404 error’ message on your website, or would take the pain today to avoid any future troubles, you ought to be extra cautious while choosing your web host. It is the web host you choose today that will be responsible to keep your website up all the time. It’s like constructing the strongest possible foundation for your building. No matter how much the load, it should bear it effectively. You can break the whole process of filtering the inappropriate web hosts from the appropriate ones in three parts: things to know, things to avoid and things to look for. So, let’s get started. Depending on what the purpose of your website is and what business you do, the required disk space may vary largely. If you own a personal brand or a small business, your requirement for disk space will be quite small as compared to national and international enterprises that hold a tremendous amount of data on their website. Most web host providers have packages that come with limitations regarding disk space allocations. So, it’s crucial to figure out the purpose of your website and approximately how much disk space it may consume in the long run. The amount of data a website’s server sends across to its visitor’s browser is termed as bandwidth. So, whenever someone loads a page of your website on their browser, your website will use a certain amount of bandwidth. And the required bandwidth depends on the type of content your website hosts and the number of visitors you have on your website. Text and images use up a small bandwidth while video files use a larger amount of it. 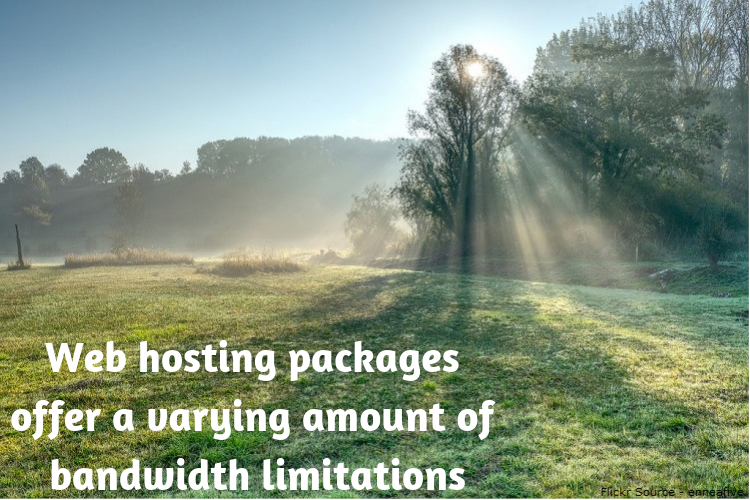 Web hosting packages offer a varying amount of bandwidth limitations. To make sure you go for the right one, and prevent yourself from buying useless extra bandwidth or buying too less to keep your website running, you need to asses what type of content you wish to have and how much traffic it will attract. Do you think you might require using PHP, MySQL and similar languages, tools and databases on your website? Think of it thoroughly. Because today, your answer might be a no, but as you transcend into the world of managing a website and making it better for its users, you might need these. And in that case, you wouldn’t want to look back and scorn at your choice of web host. All because it doesn’t support the required technical operations. To make sure that doesn’t happen, dig a little deeper and confirm whether the web host that you’re planning to rely on supports technical operations or not. It does not even require an explanation as to why you must not go with a free hosting service for your business website. They’ve got way too many things to be worried about; slow loading speed, poor uptime scores, vulnerability and so on. So, free hosting for your business website is a straight no-go. But that doesn’t imply in any manner that you should go for the costliest web hosting service in the market. The most expensive web host need not be the best web host for the type of website you are planning to have. So, it’s better that you suppress your excitement a little and save some bucks here. Given the competitiveness in the market of web host providers, it’s not rocket science to figure out different company’s providing the same type of web hosting service at different rates. If you’re only a start-up or a newbie in the blogosphere, a cheap web-host (shared web-host) might be a good fit for you. Web hosting providers, or any service provider for that matter, will not hesitate to provide a money-back guarantee to its users within a specified period of time. 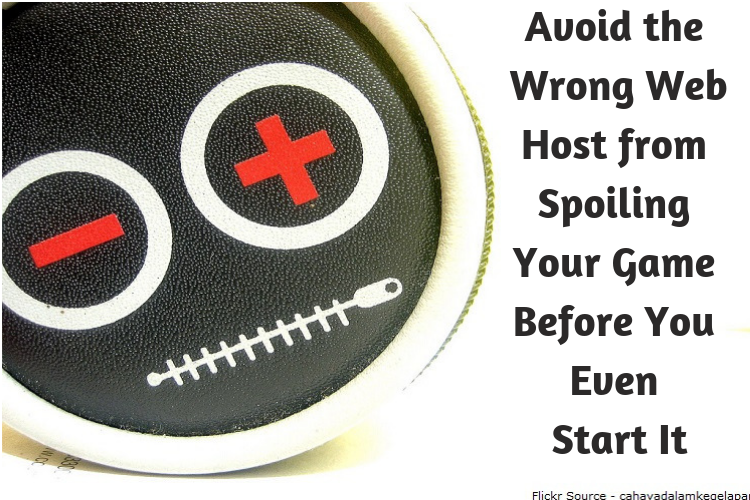 If you find that the web host you’ve been mulling over to opt for does not comply with this, cut it off your list. Period. While an “unlimited everything” package is not really a trap whatsoever, but before you get all excited and click the buy button, you might need to know a few things. 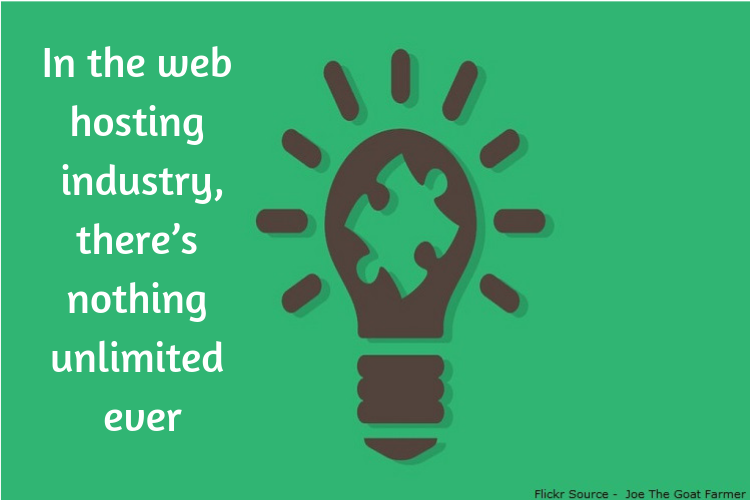 In the web hosting industry, there’s nothing unlimited ever. No web host company would make the mistake of providing unlimited bandwidth, storage, domain support etc. So, to make sure that you know what limits bound the unlimited web hosting packages—and also all other terms—you must go through the Terms of Services (TOS) of the service provider thoroughly. Web Hosts can be categorized as Shared, Virtual Private Server (VPS) and Dedicated in order of increasing features. Given that you know what type of website you are going to build and what requirements it will have, you can choose from amongst these three. Shared web hosting is often preferred by those just starting out. However, a website hosted on shared hosting might suffer at times due to increased activity on other websites that share the same server. VPS is the sweet spot between shared and a dedicated server. In this case, the server is parted into virtual machines meant to act as dedicated servers. They provide you with a greater portion of your server and much more control over it than does the shared hosting. Dedicated servers are only preferred for websites that require autonomy and the complete power of the server to support it. They come at a high cost and you should only opt for them if you’re sure that your website or application will utilize the power it offers. This one’s crucial. The history of your website and what you intend to make it in the future are both equally important. Do a double check when it comes to availability of backup options for your website data. This would shield you against any data losses. Considering the future, you must be having plans to grow your business. And as you grow your business, you might have to pull off some major changes on your website. Ask yourself, will the web hosting provider allow for your plans to succeed easily? Look for such a company that would easily let you switch between plans, that can handle the growth you harness, that does not become a hurdle in your path to success. While choosing a web host, it’s important to review the security they offer to your website. You should also make sure that if things go wrong, the support team is readily available to help. For this, conduct deep research related to the technical support service of the web host provider you choose. Look for reviews from different places. If possible, phone them and ask them personally; a good support team wouldn’t hesitate to answer your questions. Clear the slightest doubt regarding the availability of different forms of support: live chat, telephone, emails, ticket system and so on. There can be tons of things to consider and be sceptical about while choosing the right web host. But the ones mentioned above should surely make it to your checklist. So, do not hurry. Take your time. Compare all the options you think fit your requirements and go for the one you find to be the best for your website and business. A reliable web host keeps your site up and running accessible to clients consistently with minimal downtime. Bad web host and the other hand can be detrimental to your success by capsizing traffic not to mention your SEO ranking. Awesome article as always. I think hosting can make or break your business. I have seen many startups using standard hosting and they had to face a lot of problem due to which. Personally I think Cloud hosting is the best option. In the past, I have used cloud flare and AWS. PERFORMANCE is unmatchable.